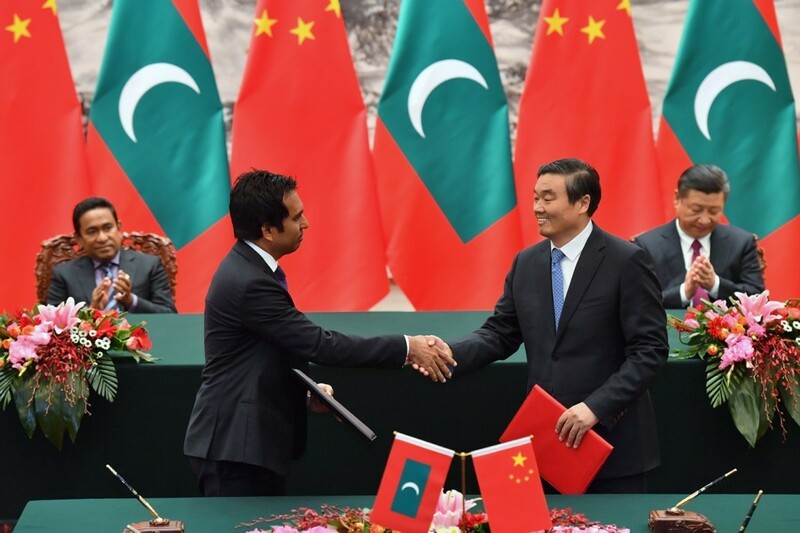 The controversial China-Maldives free trade agreement (FTA) is expected to open the doors of trade in 64 different fields in Maldives for China while the Asian monolith will open trade doors in 98 fields to Maldives. The fields opened for China to establish their new markets include tax agencies, construction businesses as well as marketing and sales related companies. Additionally China is getting the first ever go-ahead in several businesses that has otherwise been restricted for foreign corporations such as hotel and restaurant ventures and liveaboard businesses. Furthermore the FTA will facilitate China to establish businesses in tourism and travel relation services, travel agency and communications services as well as education institute services. The free trade agreement cites of opening doors for China to establish services in tourism industry such employing tourist guides, operating dive centers along with lodging and yacht marina establishment. China on the other hand had opened their door to Maldives in fields such as real estate, packaging services, legal and accountancy, auditing, photography as well as rental and leasing services. Maldives would receive opportunities to put up shop in these fields at China or have direct trade links in these fields. Other fields include cinema and theater services, franchising along with banking services. Apart from this Maldives would also receive the opportunity to establish services in tourism field such as tour operators and travel agencies while apartment building and restaurant businesses are included as well. Maldives will be able to export seafood and fish products at world market prices to China with duty exemptions according to the FTA. Within five years of FTA establishment Maldives will benefit in exporting a total 27 seafood products that are currently listed under China's tariff-schedule, with duty exemptions and another 296 fish and fish products on duty-waived off basis.